How A French Captain Of A Ship Was Led To The Truth Of Islam. 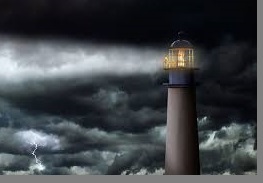 (Or [the state of a disbeliever] is like the darkness in a vast deep sea, overwhelmed with waves topped by waves, topped by dark clouds, (layers of) darkness upon darkness: if a man stretches out his hand, he can hardly see it! And he for whom Allah has not appointed light, for him there is no light.) [Surah An-Nur, Verse: 40]. In the ocean when it is high tide, there are waves upon waves. At this time if there are clouds in the sky, the visibility below in the ocean is zero. There was a person of French descent, the captain of a ship who had accepted Islam. When it was enquired from him how he accepted Islam, he said: “I had an Arab friend who had given me a copy of the Noble Qur`an. While reading through the translation I came across an example of the ocean. It stated that in the heart of a Kaafir (Non-Believer) there is such darkness similar to the darkness found in the sea when a wave covers another wave and above it are the clouds.” He says, In my life of forty five years I have experienced this a few times that when such a time comes the visibility is absolutely zero. Keep in mind the fact that if you go into the sea for about five to ten meters there is visibility to some extent and as you go deeper the visibility gets less. But when this happens, from the beginning the visibility is zero. He says, “As I had previously experienced this, as soon as I read this I said this is indeed a true occurrence. Then I thought, the Prophet of Islam (Sallalahu Alayhi Wa Sallam) had to have travelled by sea and experienced this in order to know it. When I looked further into His life I learnt that he never travelled by sea his entire life. For someone who had never travelled by sea, how is it possible that he was aware of this special occurrence at sea? Through His favour, Allah Rabbul Izzah takes the believers out of this darkness and draws them towards His light. When the light of Allah enters the heart of a believer it becomes illuminated.